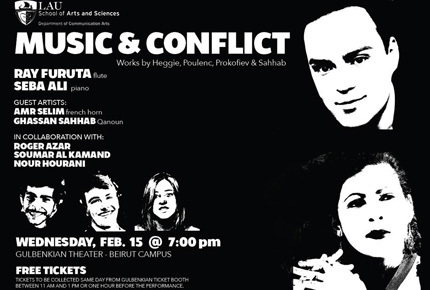 The Department of Communication Arts at the School of Arts and Sciences is organizing a concert titled “Music and Conflict” featuring guest artists from the U.S. and Canada. Free tickets can be collected same day from Gulbenkian ticket booth between 11 a.m. and 1 p.m. or one hour before the performance. All are welcome to attend.